Illuminare is a relatively new chamber choir; founded by Jeremy Cole (assistant musical director at the church of St Martin in the Fields) the choir consists of a group of talented young singers who have been giving concerts in Cambridge and London in the last three years. For the group's Christmas concert on Friday 16 December 2016 at Holy Trinity Church, Sloane Street, they pair familiar pieces by RVW, Warlock, Howells, Tavener, Rutter and Lauridsen, with not so familiar seasonal music by Dove, Wishart, Sandstrom, Rathbone, Villette, Walton and John Burt, alongside the premiere of a new piece Shine Forth by the young composer Barnaby Martin. In Shine Forth Martin sets the Antiphon for the First Sunday in Advent, and extracts from Christopher Harvey's poem The Nativity, with Martin including transformed elements of the antiphon plainchant into the choral texture, with the work being written for choir and solo quartet. 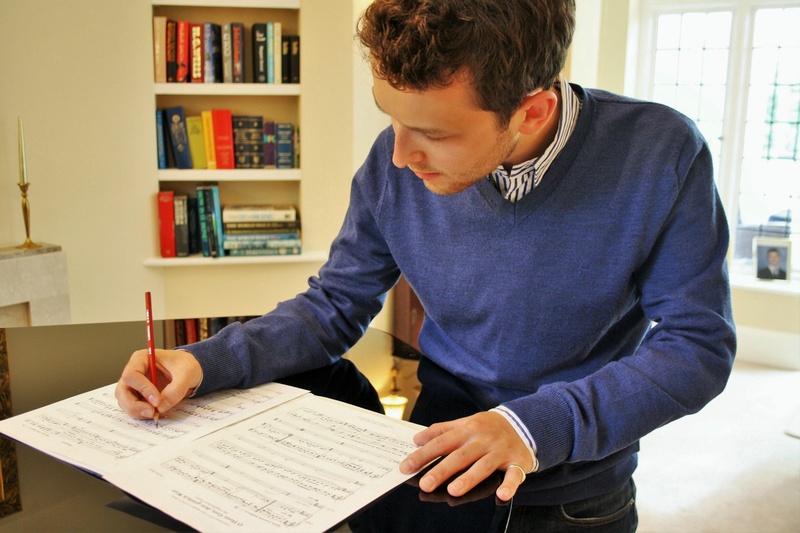 Barnaby was commissioned to write a new piece for St Paul’s Cathedral by Choir & Organ Magazine which featured his piece and his work as part of the November/December 2016 issue. Full information from the Illuminare website.